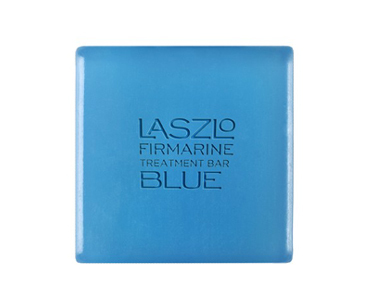 Laszlo Blue FIRMARINE Treatment Bar is a gentle cleansing bar that provides long term skin rejuvenation. Its unique delivery system releases ingredients gradually over time to ensure activity long after cleansing, strengthening skin’s barrier and allowing visibly firmer, smoother skin. Spirulina Maxima and Algae Extract to firm skin by helping cell renewal and improving skin’s texture. Vitamin C and E providing long lasting anti-oxidant protection. Glycerin, Soribtol and Palm Kernel to help hydration and retain moisture by binding water to the skin.